A play on some religious imagery. 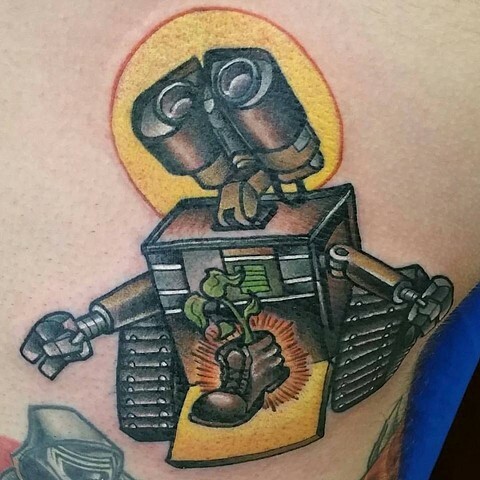 The Sacred Wall-E paired with the life saving Boot Plant. For the back story on the motivation behind this tattoo; search "The Pixar Universe Theory"